Wow ... Summer's almost over! I'm finding it difficult to juggle all of my different web pages. I'm sure you've noticed, so I must apologise for leaving this all-important website to flounder. I've invested so much time in the blog ... and time on Facebook, keeping that up to date—in addition to all of the editing I'm doing. I'm ready to start pulling my hair out. Some writers enjoy the editing process. For me, it's more like pulling teeth. It may be important (no, let me correct that—it is very important), but I'd rather be doing just about anything else ... hence the delays in getting it done. Well, that and the fact that I am only just now starting to feel fully human again. I've mentioned it on the blog, but not so much here. Surgery in May, 2016 took a much longer than usual time for recovery. I seriously did not expect all of the down time. In any case, you can read about that in blog, which can be found on both my Amazon Author page and here. I've been busy with book signings—I'm coming into the busiest part of the season ... very soon. You can find the most current book signing event list on the Amazon Author page also. Back to my editing—I am working (still) on tidying up Book One so that it can be re-published by my present—and absolutely wonderful—publisher, Inknbeans Press. Book Two should be a breeze (at least, I'm hoping)—then I will have all of my books with one publisher! I've been waiting for this day for a very long time. Book Four is in edit mode also. Bouncing back and forth between One and Four has been interesting, to say the least. But there is progress! I'm nearly done with the first pass-through for Book Four. I think at least one more (probably two) go-around and I'll be ready to hand it off the my editor. So, that is where we stand in the middle of September. Have a lovely start to autumn! 'Tis the Season ... Happy Christmas to everyone. Oh, my ... I cannot believe so much time has passed since my last update. My busiest season is finally behind me (all the book signings can be exhausting). Mischiefmaker has languished ... but at least it's finally in edit mode! I should be working on it now ... oopsie. If you ever want to see what I've been up to or see what I've been contemplating, you can always follow my blog. After working with my Inknbeans Press publisher, I've managed to sucessfully pull the first two books from my first publisher ... and now book one (Secrets Beyond Scymaria) is being edited and polished for republishing—hopefully by January or February, 2017. I believe Mischiefmaker (book four) will follow that ... then I assume Inknbeans Press will publish book two (Warriors of the Forest). I'm excited because once all of that happens, the entire series will finally be in the hands of a singular—and I might add, wonderful—publisher! So, my friends and followers ... as the year winds to a close, I would like to wish you abundant peace and joy of the season. Happy Christmas, Happy Hanukkuh, Happy Holidays ... and Happy New Year! That's a lot of happies ... no worries. 'Tis the season! It's hard to believe we are already into July ... and that I have yet to finish book four—definitely not because I've been goofing off. Mischiefmaker is languishing on the shelf and it's making me crazy! Health issues have been my nemesis since the early part of this year (in addition to losing my dear sweet pup) and I've bravely attempted to work through everything—until May. All things came to a screeching hault as I dealt with doctors, cancelled my trip to the UK (sniff and pout) and prepared for surgery. The surgery has helped (recovery is taking forever), but other problems have reared their ugly heads, which I'm now trying to get resolved. Still a couple more appointments to sort the problems out and hopefully I'll be right as rain. I am praying for a speedy resolution. My publisher has been amazing—and understanding—as I muddle through all of this. So have my friends. I do hope you, as my readers and followers can be also. I would love nothing more than to have my book in your hands right now ... but it's simply not possible. I'm still hoping I can meet the deadlines for a late Fall publishing date. We'll see how that goes. I need to finish tying the beginning and the end together, finish my editing and get it off to my editor for his scrutiny and most likely more re-writing. And, on top of it all, since I lost my amazing cover artist, I am trying to work on a cover also. So, folks ... with our country's birthday just around the corner, I'd like to wish you a wonderful Fourth of July. Stay safe. Have fun ... and I'll keep you in the loop. Here it is ... Good Friday—already! There are so many things that need doing: finish my edit of book four, finish my tax preparations ... get my book signings and appearances schedule updated and available. But, I haven't felt much like it lately. If you've been following my blog, you'll understand why—after an agonizing decision-making period, I finally sent my sweet fur-friend over the Rainbow Bridge. I'm not terribly excited about anything at the moment—and I apologize for that. Soon, though, I will slowly gain momentum and be back to my normal crazy self. So, I ask for your patience please. Just a little while longer. May this Good Friday be one of reflection and understanding. May this Sunday be a day of celebration. Well, I've managed to make it almost all the way through February without killing myself. Two very long drives and dodging traffic in and around LA (it really wasn't that bad ...) sandwiched between a long, lovely weekend meeting like-minded Whovians at the Gallifrey One convention. Yup. I'm still alive. Amazing. I'm trying to stay ahead of my tax preperation this year, so with the convention and now taxes ... I've had to put aside my work on book four and five. After a serious discussion with my publisher—I actually met her in person whilst in LA ... she's wonderful—reality slapped me upside the head and I've come to the conclusion I will not have the fourth book ready until this fall. I know. I promised. But at least I'm giving you a heads up. There are always my crazy blog entries to keep you entertained. Once my taxes are turned in, I promise: back to writing and editing. I do want to have the polished manuscript turned in to the editor before I go on my UK adventure. So, until my next update, please have a blessed day-to-day adventure. It's been a very, very busy year for me, which is a good thing. But very exhausting. Finally, the dust is beginning to settle. A new publisher, new book, lots of book signings ... and even more Painterly things to do—keeping me on my toes all year. I've been switching hats all year long between Writerly and Painterly ... especially near the close of this year. I even had to toss NaNoWriMo aside this year because my calendar was way too full. ﻿Finally, things have quieted down and I can take a deep breath, relax and concentrate on keeping the Writerly hat in place ... so I can work on my fourth and fifth book. My two characters have some challenges ahead of them as I bounce back and forth between the two books. I may put book five aside until February so I can concentrate fully on completing book four and get it edited. I'm hoping to have it published before I head off to Europe in June, 2016. We'll see about that. I'll make no promises this time, since life has a habit of changing my planned schedule. I've already had my first meeting with my cover artist to toss around ideas for an amazing bit of artwork. She's jazzed—as am I—about it and hopefully I'll see some mock-ups soon. So, since I will probably not post anymore updates this year, please have a blessed Holiday Season, whether it's Christmas, Hanukkah﻿ ... or however you celebrate the season—I hope it is blessed abundantly. Have a blessed and safe New Year's Eve. IT'S FINALLY DONE ... and The Scymarian is now available through my new publisher, Inknbeans Press, a small independent press in California. I'm so excited to have a publisher that is personable and responsive to my needs and within a days drive if I want to talk to someone in person. Book four will be the next in the series published by them, then I will pull the first two books from Xlibris and republish with Inknbeans Press. I'm excited by this move and hope that I will enjoy many years as part of the "Hill o Beans" family, as the authors and employees are fondly called. THE LAST TWO MONTHS have been challenging for me, filled with some hard decisions. After careful consideration, I decided to pull The Scymarian from my print-on-demand vanity publisher, Xlibris. I gave my notice yesterday and am waiting acknowledgment so I can move forward with my book. At present, this leaves the publication of The Scymarian in limbo, but I am hopeful that it can be ready for my readers by this fall. I have found and am now in negotations with a wonderful, honest-to-goodness small publishing company—InknBeans Press—to take on my series, beginning with The Scymarian. I am so excited. It is a huge step forward for me, for my series and a definite step in the right direction for a better end- product for you, the reader. I do apologize for the delays, but it was the right thing to do. I will keep you informed. I promise! Here's your link to dj jameson smith's Facebook page for you to write your honest reviews of Secrets Beyond Scymaria. I will draw two names from those that submit reviews for the book. Announcement will be made at the next meeting (in August, I believe). I will try to be there, as I'd like to hear what you have to say about the book, whether a written review was done or not. I want to thank you all for taking the time to read my book and considering writing a review! It was fun. BOOK THREE FINALLY off to the publisher! 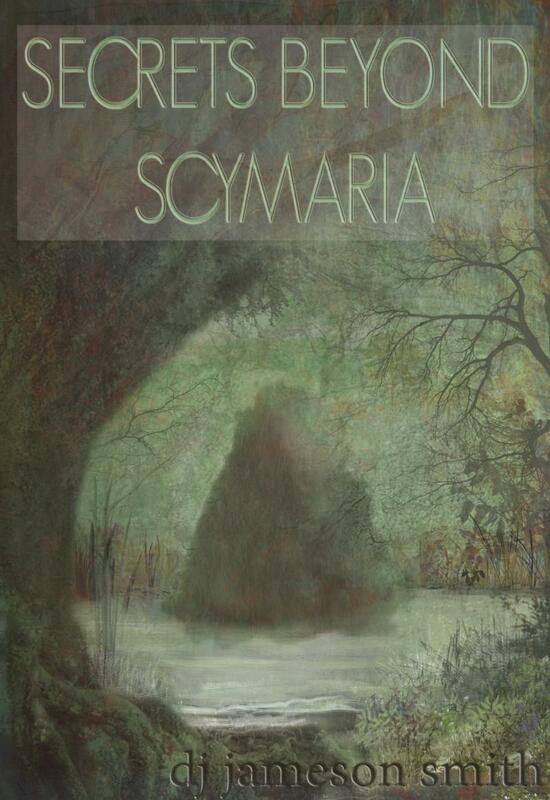 I am excited to announce that finally, The Scymarian, third in the Secrets Beyond Scymaria series is indeed in the hands of the publisher. The manuscript, the artwork and my new, very untraditional author's photo. Now, we begin the task of creating and approving the cover and interior galleys, the marketing materials, etc. 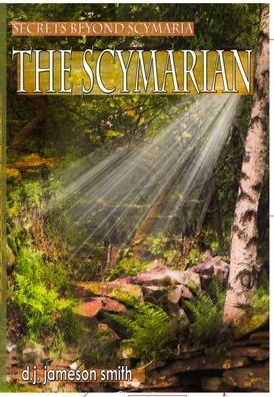 Very soon—I am hoping before the end of June—The Scymarian will be available for purchase at Amazon, Barnes and Nobles and signed copies at my SquareMarket site. In the meantime, I will keep you informed as to the publish date for The Scymarian. Well, I am embarrased to say ... once again the release has been delayed, but the light at the end of the tunnel is bright and clear. Even as I am writing this, I am gathering together the completely edited manuscript, all of the cover art and a new authors photo and preparing to send it off to the publisher—finally! If there are no hiccups, I am figuring on a release date sometime in late June or early July. It's been a long time coming, but it's finally here. As I've mentioned before, since this is not updated as frequently as I blog, you can follow my weekly Creations blog to catch things as they happen—and enjoy some of my other personal musings while you're at it. Editing continues — nearly done with the first round! I am anxious to get the manuscript back to the editor for the final edit. (I did bump the posted release date from February to April.) I'm hoping it will be ready by then. Then on to the publisher for formatting and printing. It is coming together, albeit slowly (my sincere apologies) — I want it to be right. No rushing to finish just to be finished. Soon ... in the meantime, I have been posting weekly blogs — actually quite regularly — at the Creations blog if you are interested. You'll find various entries, from tongue-in-cheek, yet informative travelogue posts to updates about the series and little personal bits where you, as my readers, can learn a little more about me as an individual and as the writer...artist...photographer. Maybe it's time for another character interview ... what do you think? My deepest apologies — the holiday season has been too busy and there's been no time to work on my edits or book four. I didn't even participate in the National Novel Writing Month like I usually do! But I will reveal the new cover for book three. I am so excited about Michele Luccketta's work — it is beautiful. 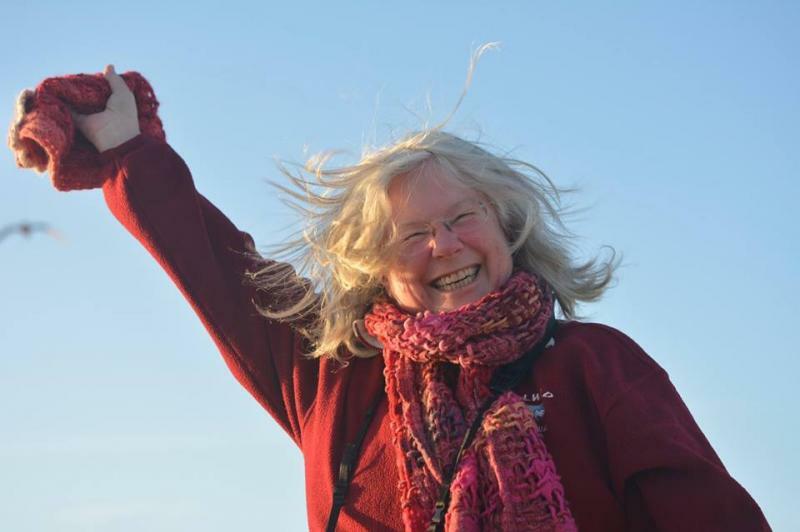 It incorporates her art and expertise plus some photos I took while in Ireland to create the right image. The Scymarian, book three in the Secrets Beyond Scymaria series, holds more adventures and mysteries as the two continue to explore this new world. The professor creates mayhem and anguish — but the two must perservere, finding a way to reconcile their feelings. Editing will be completed soon and available as early as April, 2015. The first edit (of two edits) is in my hands for "The Scymarian" and I'm excited that it's almost ready for you to read. This story keeps evolving, as I have already started book four (no title yet). Amy and Ty keep finding more and more challenges they must overcome. Some are pretty tough to handle, but they are managing—with the help of their strange friend. My cover artist has an amazing piece for the book—I'll do a reveal as soon as it's ready. I'll keep you informed as I progress with the edits, and as my fourth book comes to completion—hoping that happens by February, but everything depends on my characters, right? Click on this for the link for the Xlibris Bookstore. Withing a few weeks, book two will be available through Amazon and Barnes and Nobles online sites and you may order at your local bookstore now. As soon as I see a physical copy — my author's copy — and approve it, I will place an order of both hardbound and paperback to sell on this and my SquareMarket sites. Keep tuned in for updates! It's going to be interesting...working with the publisher whilst I'm on my trip abroad (haven't done this before) to verify, correct and authorize the interior layouts and cover design layouts for the book cover. Hope there are too many phone calls required ($$ ka-ching! $$) whilst I'm away. 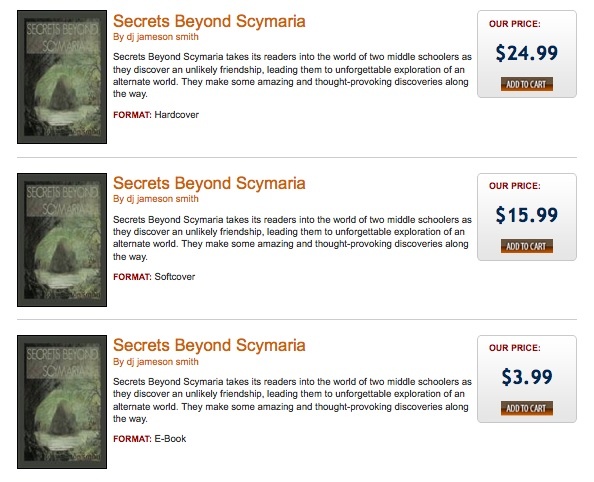 The day is nearly over, but the buzz for me today has been reading my very first review of my book, Secrets Beyond Scymaria. You'll find the review on Amazon. The reason I like this review so much, aside from the fact it's the first written review, is that the reader is not so fond of fantasy storylines, yet she liked it — and gave it a five star review. I'm so glad she enjoyed it. I received another one shortly after that from a student that enjoyed the book. You can find both reviews on Amazon. SEEKING REVIEWS for my book, "Secrets Beyond Scymaria"
Well, I'm a wee bit slow getting this onto my website, so I'll be extending the dates another month. Book sales live by reviews, but authors need to know how their readers like their work, also, so they know if they are going in the right direction. Write a review either on Amazon, GoodReads or on my business Facebook page (in the post pinned to the top of the page only) — or even message me with a review from this website and I will select a name — whether a good, so-so or bad review — and send a $25.00 Amazon gift certificate. Contest ends 31 March, 2014. WELL, THE CONTEST MAY BE OVER, BUT I'M ALWAYS LOOKING FOR REVIEWS, so feel free to go to Amazon or GoodReads and post your comments. Done! I made that elusive annual 50,000 word goal set by the organizers of the National Novel Writing Month. November 1st started a month long endeavor by inspired writers as they try to reach the goal lofty of 50,000 words in 30 days. I used this time to concentrate on my fourth book for the Secrets Beyond Scymaria series — and came out with some very nice material, thank you! 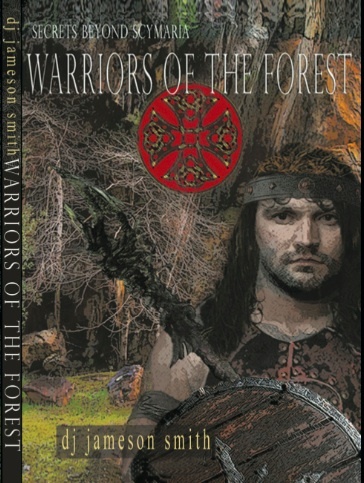 NOW, I am hunkering down to get Book Three — Secrets Beyond Scymaria: The Scymarian all ready for release in the late Fall of 2014. I'm excited! WELL, YESTERDAY I ONCE again gave the approval for the cover of my book. Though the book became available back in September, I discovered mistakes that were made after I'd given my blessing on the cover. Now they are corrected, but I'm waiting for the physical copies to arrive before I give my final approval to allow any more to be printed. I want it to be perfect for you, the reader. You may definitely place orders--and IF you do receive copies with a weird looking spine (scrunched up title and author byline at the center) and mispelling of 5th word on back, personally I'd return it, telling them there is a corrected version at Xlibris that they need to be selling. OR--wait till I have my credit card reader figured out and buy from me once I get my copies. I JUST FOUND OUT that my book has gone 'live' at Amazon.com, so you now have a choice! BarnesandNoble.com should follow suit soon...then it will be completely done. FINALLY, MY LABOR of love has come to fruition. Today, September 10th (one day ahead of schedule), Xlibris made my book "live" -- their term for 'available to order'. It has been a long haul and I am esctatic that this day is finally here. I can now share with all of you this wonderful adventure that I've been having with my characters. I think you will enjoy it as much as I do. I will be posting dates of local book signings in the coming weeks for those that are interested in getting a signed copy. And for those of you that are not local, if there is enough interest in a specific area, I'll look into making a trip to your area. I do have specific areas I will be going, but nothing scheduled as yet...still need those books. They are ordered, but have not arrived as yet. Blogging is my alter ego. ﻿I discovered a new side of me with my personal blog. I firmly believed I should never "air my laundry" so, doing a personal blog was simply not going to happen. I did create and post quite a few travel blogs. But, after I decided to try it out a teensy bit on my Facebook page I discovered it could be fun. So, my travel blog has turned personal when I'm not traveling. And I think I like it. Hope you do too! You can read my blog and even subscribe to it! ﻿Sometimes, I post mini-blogs and photos on my business Facebook page: click here. Who Is DJ Jameson Smith? my not so conventional photo, which says so much more about me than the other one. MY LOVE OF READING began in second grade. Even a child with learning disabilities, when given the right mentor, can learn to enjoy — and devour books. 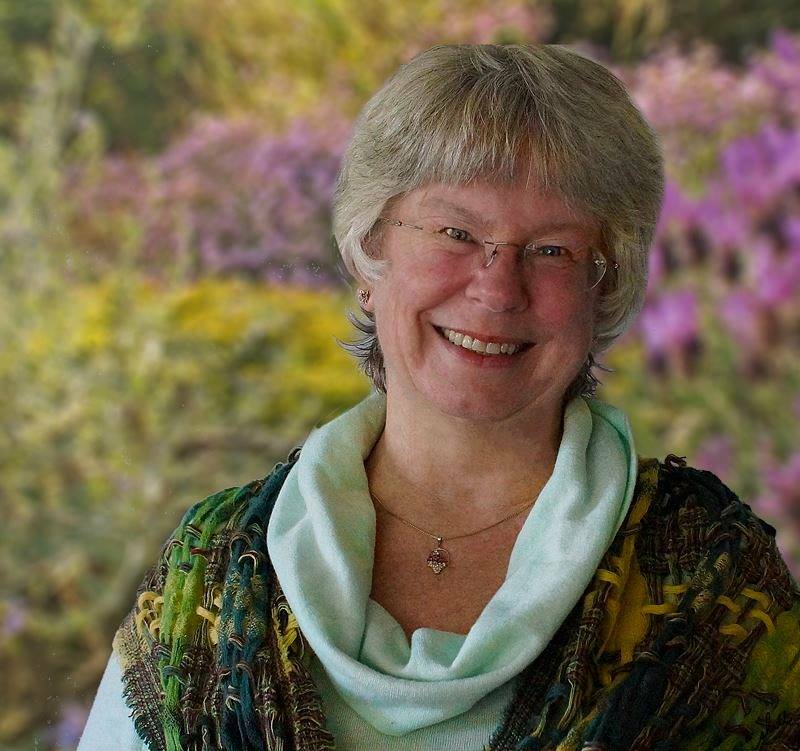 My mentor was our elementary school librarian. She introduced me to my first book, Big Red by Jim Kjelgaard, then Rikki Tikki Tavi by Rudyard Kipling. After that, there was no stopping me. I loved the world these books drew me into. My active imagination easily produced a wonderful 3-D portrayal of the characters and the settings. As I grew up and became busier in my own world, I found less time to write, or even read. And often ﻿I wondered what it was that was missing. With the arrival of my daughter, and the endless days and nights of "Read to me, Mommy", it dawned on me what had been missing: telling stories! First, I found myself ad-libbing﻿ with her storybooks. There were mild protests at first, but even she was having fun listening to these new story lines. As she flew through her elementary school years, so did I, storytelling in her classroom, then for other classes at her school. It was fun and I was never at a loss for material. The children helped me weave the stories by supplying descriptive bits and pieces. Then, the novel began to form in my head and I started on my long journey that brings me to now. I'm a storyteller﻿, turned writer﻿, turned blogger, turned novelist. Along the way, I also dabbled in photography and many forms of art, which is how this website began. And I owe it all to the marvelously delightful talents that God has chosen for me. Order your copies today at SquareMarket (signed copies) or through any of the online bookstores (InknBeans Press, Amazon or Barnes and Noble) or order at your local bookstore.